Stephanie comes to the Simpactful with 20+ years of experience as a leader responsible for building financial, inventory and operational plans across both digital and store channels, in store experience, retail execution strategies, and merchandising and product development. 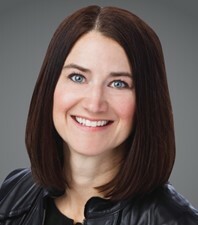 This experience comes from her roles as and Executive at Target, including SVP of Merchandise Planning, Home, Apparel, Accessories and Baby, VP of Merchandising for both Beauty and Toys/Sporting Goods. Stephanie is ready to jump in to help clients using her retailing knowledge and expertise across multiple categories in Merchandising, Replenishment and Executional Excellence. Meet Simpactful - a new CPG/Retail consultancy firm built for today’s challenges, with a team of experienced line leaders from both CPG and Retail firms. Our experience spans functions - Sales, Marketing, Consumer Research, Human Resources, Product Supply - and all retail channels including eCommerce, Food, Drug, Mass, Club, and Dollar. Our leaders are proven, having led their companies through today’s challenges with strong demonstrated results. We are passionate about sharing our insights and success models with our clients. Reach out to us, and let us share how we can address your biggest challenges. Visit www.simpactful.com or contact us at contact@simpactful.com or 925-234-6394 to learn more.